PUTTING PEOPLE WITH a disability in charge of the purse strings when it comes to some of their payments is growing in popularity. Áiseanna Tacaíochta (AT) began as a pilot project, set up by four men and women living with different disabilities who felt that the traditional models of service provision needed to be improved on. What they decided to do was set up a model that worked with their focus on independent living. 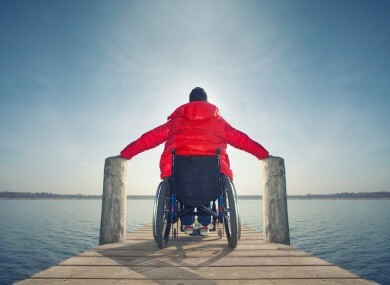 ÁT’s role is to support and empower people with disabilities to be as independent as they can be, so that they have control over their own lives, just like everybody else. Traditionally, people with a disability pay for their personal assistant (PA) services through service providers. AT helps people set up as a company so they can deal with the direct payments from the HSE themselves. AT acts as an intermediary between the person with a disability and the HSE, so they negotiate personal budgets, report to the HSE about this, and also deal with their members’ compliance with things like PA contracts and Garda vetting. With AT, the person receives their direct payment from the HSE and can use their budget to choose and manage their own services. They operate a monthly and quarterly reporting system, and also have a Peer Support system. Orlaith Grehan of AT said this is the first time this has been done in Ireland, and the cost to members depends on the size of their budget. So far, they have 25 leaders, and hope to have 50 by the end of 2015. A key thing for people with disabilities is being able to live independently and have the freedom they are entitled to. Not every person with a disability is going to want this option and that’s perfectly fine. They have been working with Government and the HSE to try and bring their attention to the new model. “I think choice is an absolutely crucial thing in making sure we do live in an equal society,” she said. The whole model is set up to ensure that people with disabilities can live with choice and independence and the freedom they are entitled to. Maggie Woods, who lives in Claregalway, moved to AT after she was told her PA had to retire at the age of 65 under her service provider’s rules. As her PA was “well able to work beyond that”, and was a huge part of her life, she wanted to see what could be done about this. “I thought the money was about me and my service and surely I should have a say on who is coming into me,” said Woods. A friend advised her to speak to Martin Naughton of AT, and when Woods was told by him her PA would not have to retire at 65, she signed up. I think that maybe a PA is nearly closer to you than your family. They are the person who has the first contact with you in the morning, who sees you with your hair standing on end with no make-up on. Woods’ PA supports her in getting up and out to work, with some cleaning, going to social events, shopping, and more. “Without that assistance it would be difficult and it would be more stressful for me,” she says. “It’s been hugely empowering for me to do what I’ve done,” she added. She is “totally aware” of her funds and how they are spent. “I am in total control of the purse strings”. She says this system would not be for everybody, but it has worked for her. ”It’s been a whole life-changing journey for me,” said Woods. Email “Empowering people with a disability - by handing them the purse strings ”. Feedback on “Empowering people with a disability - by handing them the purse strings ”.